Since moving to Evanston, IL I have spent the majority of my commute on the Purple Line. 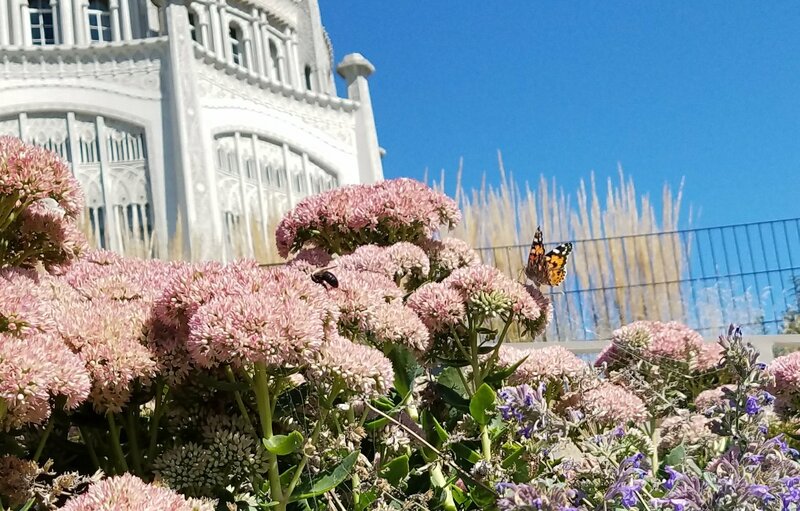 I kept seeing signs urging train riders to visit the Bahá’í Temple & Gardens in Evanston. The temple itself looked beautiful and I am always looking for new places to explore so I waited for an opening. This past weekend the opportunity presented itself during a blue sky sunny eyed Saturday when I found myself without plans. I grabbed Thom and we rode the train to the end of the purple line, the Linden stop. Then we walked three blocks east. At first sight of the impressive temple my jaw dropped and I might have even audibly gasped. I still cannot find the right arrangement of words to properly describe my experience there, in recollection it seems almost a dream. I felt a greater connection to the world even just walking around drinking in its endless intricacies. I hadn’t visited for any religious purpose. I came only to explore the architecture, but found myself reflecting on my experience with religion as I circled the grounds. I was raised Christian and never truly felt connection with that religion or the community. The church I grew up in was membership exclusive and heavy on the gossip which didn’t seem right to me. I was always confused by all the different religions and then discouraged at the conflict between them. Eventually I gave up on religion altogether. I found the weaving of all different religious symbols in the architecture so intriguing. The temple connects those so frequently in opposition. When I’m struggling intensely, I’ll often call my mom to confess that I’m in a bad state to seek both advice and consolation. She has always been there for me and in those moments she helps reel me in. Each time she tells me that she really believes it would help me if I could connect with a higher power. She never pushes me towards her own, instead she emphatically tells me that it doesn’t matter what higher power it is, but that I need something. Normally I brush it off, but there have been times in the past I’ve considered reaching out and seeing if there might be something that fits me. I don’t in part because I’m lazy, but also because I worry about how low I’ll feel if I reach out and don’t find a religion that fits me. 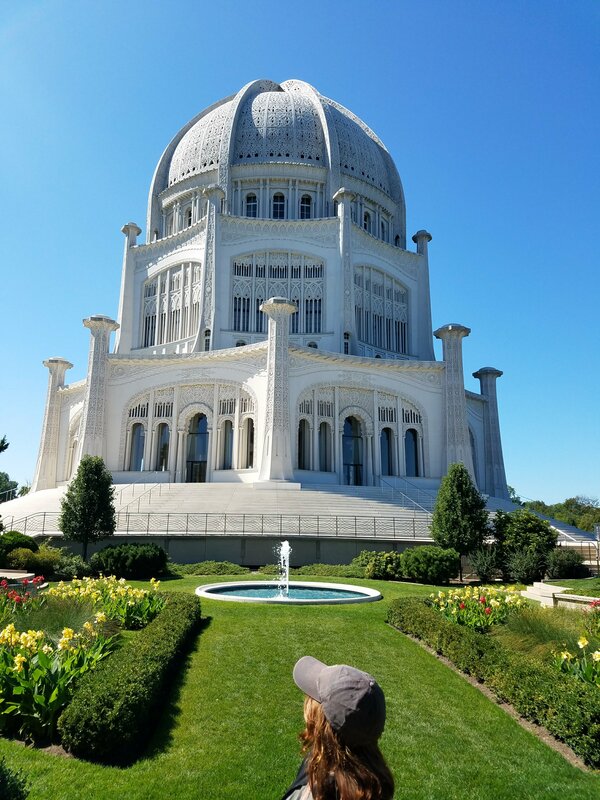 I’m still learning about the Bahá’í faith, but what I read and witnessed there over the weekend makes me think it might be the place for me to build a connection with something higher. I grabbed an event flier that goes through the beginning of November and I’ve picked out a few events to attend. I’m also slowly convincing myself to attend a regular service. 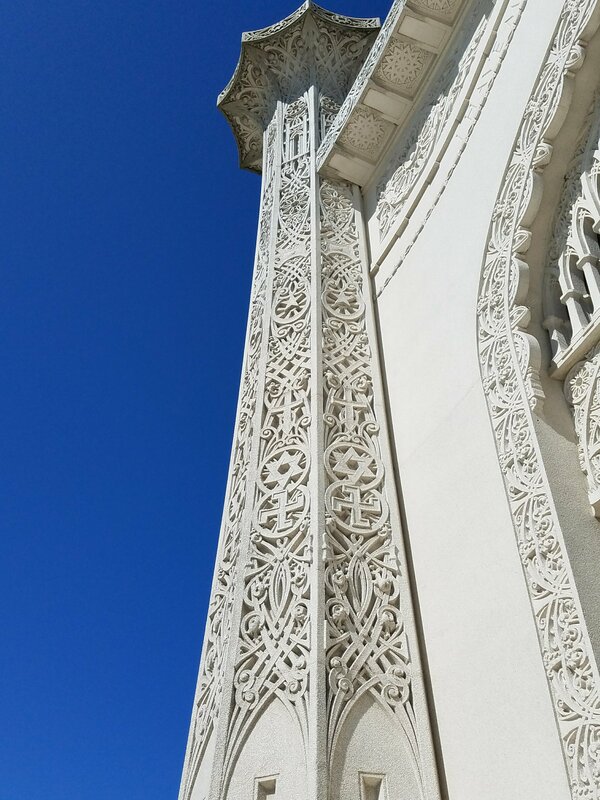 If you live in the Chicagoland area even purely for aesthetics you should visit Bahá’í Temple in Evanston. After all, it’s one of only 8 worldwide! Previous Post Impostor! You’re Not Alone.